Yesterday finished the frontbumper. Now with the synthetik rope and the linceplate. Look‘s good. And here are the pics from the final test at the Manche. Look´s pretty nice and fits very well. Thanks to JCR Offroad!!! Wow, great links. Thanks to you. 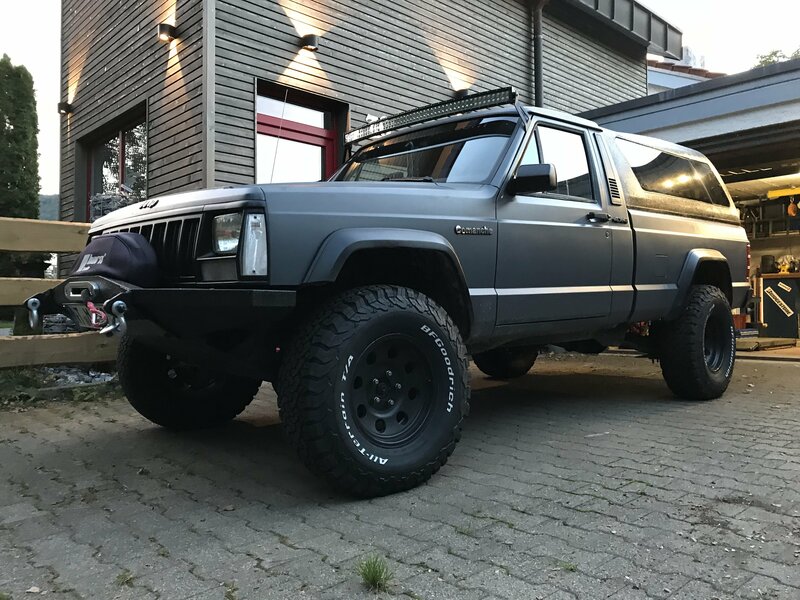 Hi at all, did someone know where I can get the original „Pioneer“ decals for my Comanche? Or is there someone that made good copys? Starting final step. Herculiner for the front and rear bumper.